Marks & Spencer (M&S) is one of the UK ’s largest and most iconic chain stores, with over 600 stores in the UK and a further 200-plus in more than 30 countries around the globe. As well as being one of the biggest clothing retailers in Britain, the company has also developed into a multi-billion pound food retailer. Sales from its Food & Drink operation, which offers everything from fresh produce and groceries to ready-made meals and seasonal dishes, currently account for just over half (51%) of the business – bringing in more revenue than clothing and homeware combined. 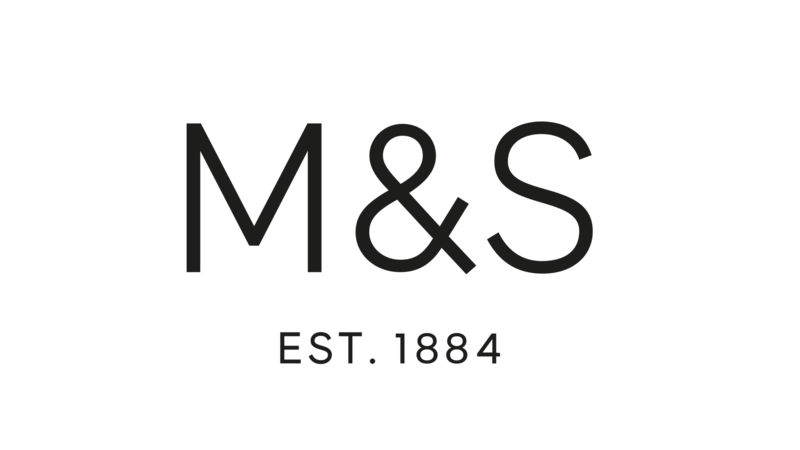 Browse Marks and Spencer’s departments or visit the main M&S site. The company was founded in 1884 by Michael Marks, an immigrant from Minsk (now in Belarus), as a small market stall in Leeds , Yorkshire . The company became known as ‘Marks & Spencer’ following a partnership agreement between Marks and Thomas Spencer in 1894. The first Marks & Spencer store was opened in 1904. It then became a Limited Company after adopting the revolutionary policy of buying directly from manufacturers. In the 20th century, M&S built its reputation on a policy of selling high quality goods from British manufacturers. In 1998 it became the first British retailer to make a pre-tax profit of over £1 billion. However, the next few years saw the company struggle with a slump in sales, which led to a number of takeover bids. After years of falling sales and negative press coverage, M&S began its comeback in August 2004 with launch of t he ‘Your M&S’ and ‘Not Just Food, M&S Food’ advertising campaigns. Focusing on food and womenswear, the commercials restored public confidence in M&S and communicated its overhaul of more stylish, affordable clothes, better quality food, improved service and store refurbishment. The campaign helped save the ailing high-street chain, returning it to its former position as a national treasure, as well as resisting takeover bids. The Simply Food-branded shops are M&S’s food and drink convenience stores. The store format was launched in 2001 under the then chairman and chief executive, Luc Vandevelde. There are now around 355 M&S Simply Food stores across the UK that specialise in selling ready-made meals, sandwiches, desserts and snacks and beverages. A number of Simply Food stores are run under franchise agreements. Select Service Partner (SSP) runs the stores at mainline railway stations and airports, Moto has stores at several of its motorway service stations, and BP operates 116 petrol forecourts with a Simply Food offer. In January 2009, M&S announced plans to close 25 Simply Food stores and cut 1,230 UK jobs after reporting one of its worst Christmas trading performances on record. Food sales across the chain fell by 5.2 per cent year-on-year over the 13 weeks to December 27, as money-conscious consumers opted to shop at cheaper retailers such as Asda and Morrisons to cope with the economic downturn. M&S also offers a range of award-winning wines. The retailer currently holds the ‘Wine Challenge Merchant of the Year’, ‘International Wine Challenge Supermarket of the Year’ and ‘Decanter Supermarket of the Year’ titles for 2008 – the first wine retailer to hold all three awards at the same time. M&S offers a selection of monthly special deals and promotions on its food ranges. These currently include a ‘dine in for two’ £10 offer, a ‘£5 off a £25 basket’ voucher scheme, any 3 selected ready meals for £5, a range of ‘Wise Buys’ products, and a ‘wines of the month’ offer. M&S runs a ‘Food to Order’ internet service which allows customers to order their favourite food and drink from an online catalogue for collection in one of their UK stores. Shoppers can browse online; choose items from the M&S range of over 220 foods including products which are exclusive to M&S online such as wedding cakes; select a two, five, seven or 21-day collection service; and then arrange to collect their M&S food order from their nearest store Marks and Spencer store. M&S Food to Order menu ideas includes recipes for a family feast, a gourmet dinner, kids’ parties, drinks parties and several types of buffet. The company also offers an online lunchtime-menu delivery service for businesses and individuals, called ‘Lunchtogo’, as well as a ‘Wine Direct’ service and an online flower service.